Spacestor Palisades Grid is a customizable and modular zone divider that gives flexibility to today’s more transitory workforce. 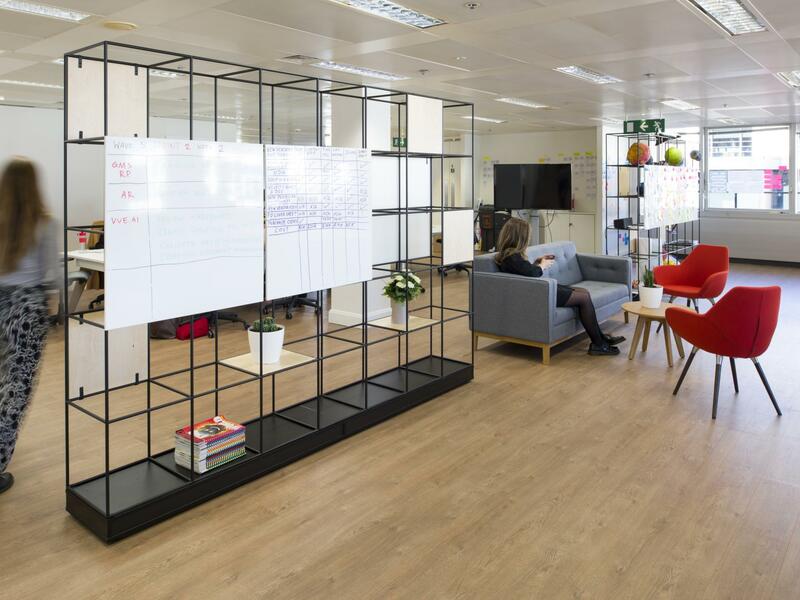 Top talent needs a mix of collaborative and private spaces to produce their best work so modern workspaces are having to become complex, multi-functional environments that provide the right mix of private and shared space. Companies are scaling and shrinking fast, so workspaces need an adaptive design so they can be repurposed quickly and cheaply. Modular and movable zone dividers like Palisades, available in either wood or a metal grid style, allow for the simple and attractive division of space into zones and neighbourhoods for specific working styles, without building walls. They can be highly customized to the unique design of your workspace with a large selection of sizes, finishes and accessories, including plants, acoustic panels, lighting and storage to create a highly attractive visual and acoustic barrier. This system delivers needed levels of privacy between different working zones whilst maintaining a connection with the whole space. With design roots in mid-century minimalist modernism, the Spacestor Palisades Grid version is lighter and more open, giving the most flexible choice in construction with a wider range of accessories.